This is one of the more interesting things that you can do with raw linseed oil. Why you may ask? It turns raw linseed oil into ‘boiled’ linseed oil by beginning the polymerization process by introducing oxygen. And I am not making this stuff up. This is a half a gallon of raw linseed oil that I poured into a glass gallon container. There was some sediment that started to come out, so I stopped and still have some left in the can. This I will strain and do something else with and I will save what I strain out [the foots] and make some putty. During the historic period traditional methods would have been used. Lacking a water wheel and the steam engine isn’t running yet, I bought an inexpensive aquarium air pump and some tubing to go through the process. I put some small holes in the end of the tubing and crimped the end. Seems to be working fine. The pump is a lit annoying [I’ll put it in the back room] but the bubbling of the oil is pleasant. I will let it work for a while and monitor the condition of the oil. At the end of the process this oil will be turned into a drying oil without adding any chemical driers. 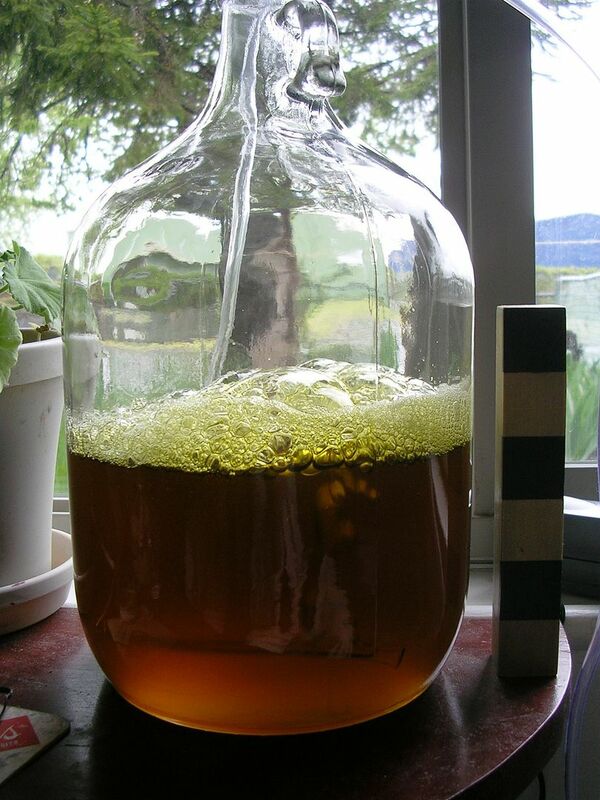 After a couple of days the bubbles are behaving differently, not as big and more uniform in size. Of course all of this will be covered in Shellac, Linseed Oil, & Paint – Traditional 19th Century Woodwork Finishes which will hit the press soon [should go to the printer Monday]. It will be available from Tools for Working Wood and if people want a personally inscribed copy they can contact me. This is totally fascinating. I would love to buy your book (is it possible to send it to Reykjavik, Iceland)? How long does this process take? And how do you know when the oil has become “boiled”. I boiled [bubbled] the oil for 8 hours or so a day for a month. It lightens in color during the process.